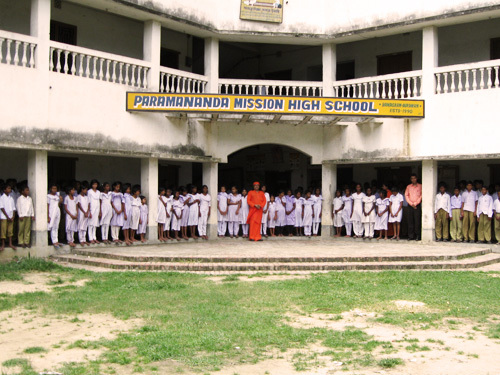 Paramananda Mission School System is based on the ideals and philosophy of our Guruji. He said "As individual identities in this physical world have bodies and minds, we are going to use them to solve the mystery of life and to create peace and harmony in ourselves and in our surroundings; we are going to 'learn the language of our body' and 'read our mind' to 'know our Self'. This education system is streamlined to work on His Man Making program with the intention for upliftment for one’s self consciousness through selfless service, in order to attain it 2 main aspects are to be taken utmost care i.e. Basic Proper Education and Mentally and physically fit body. 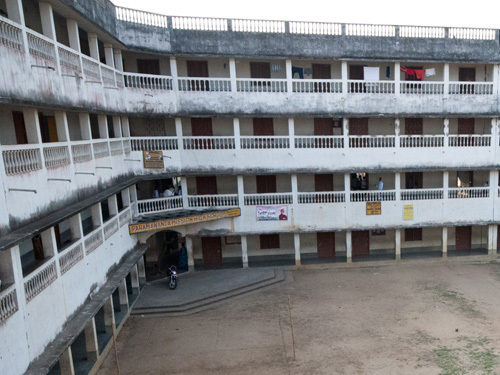 Hence to impart proper education a 4 storied High School Building covering an area of 40,000 square feet serves the basic education from the Nursery, Kindergarten & Primary School to the level of High School. 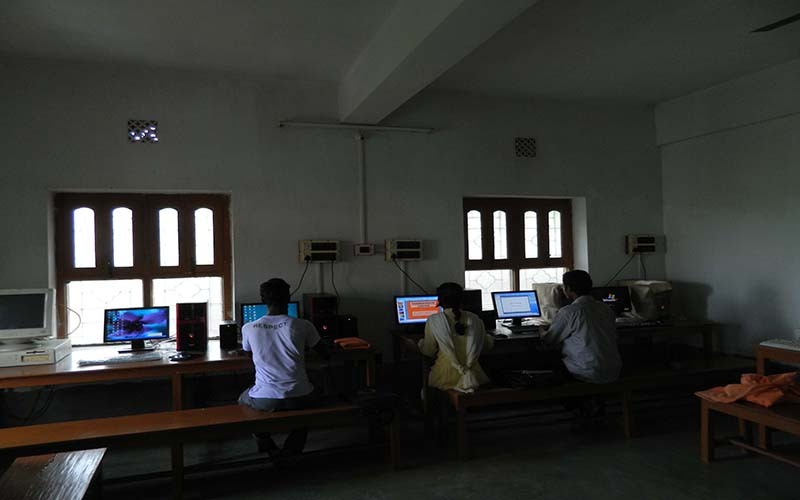 Mission also has various other academic institutions such as the Sanskrit Academy Centre, the Youth Computer Training Centre, Music and Folk Song Schools, Driving Training School and various other vocational training for the residents. A new hostel for the Orphans has been constructed which accommodates these 350 orphans and Plans are there to extend it to accommodate 700 orphans. 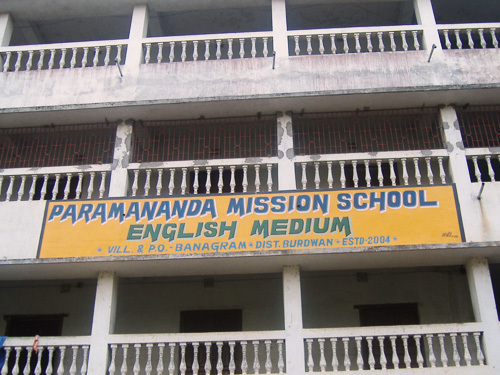 The Paramananda Mission High School is located in the area BIJUR-I/IV of MEMARI-II in the BARDDHAMAN district of WEST BENGAL. 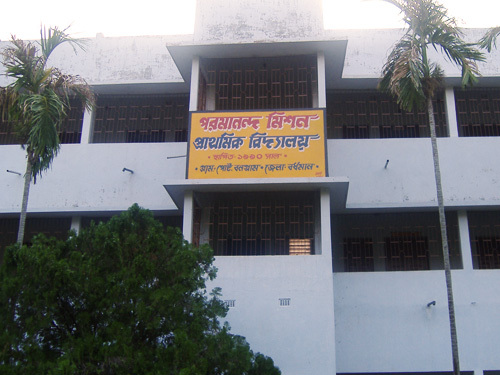 It was established in the year 1990 and for the last few years the results for the Intermediate Examination was extraordinary. 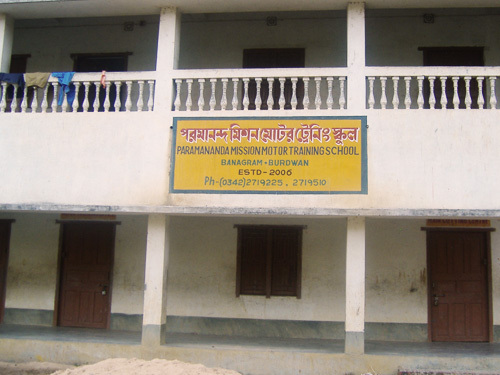 The Mission School has its own vocational training curriculum. 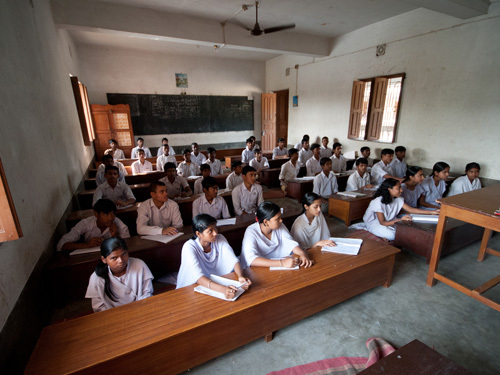 The school has been providing vocational training since 2000. The students are trained to repair furniture in the wood shop. 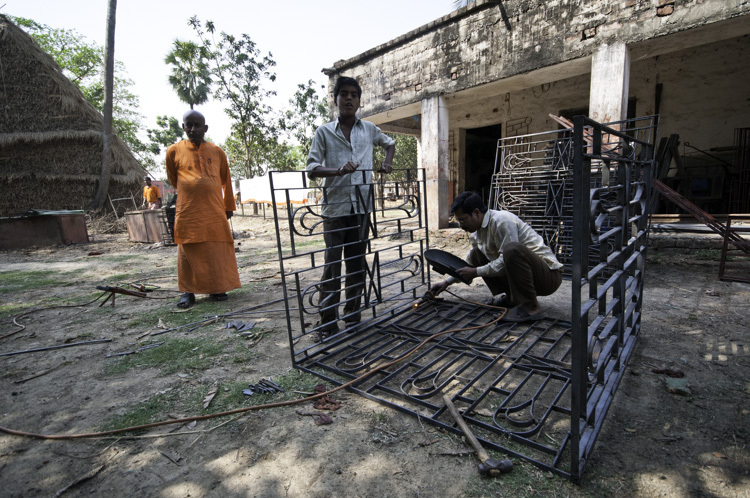 The mission staff and the students have demonstrated that they can successfully maintain the furniture and the facilities of the orphanage-school and we feel they will continue to take care of the material that will be provided. 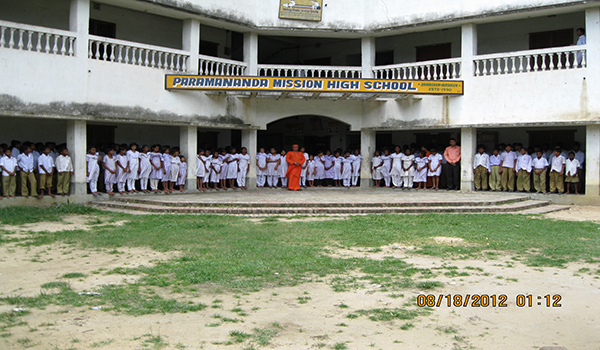 Currently there are about 125 resident volunteers (Maharaj, Bamhacharies) including teachers for classroom instructions up to High schools, vocational trainers in agriculture, cooking, driving, healthcare, carpentry etc. 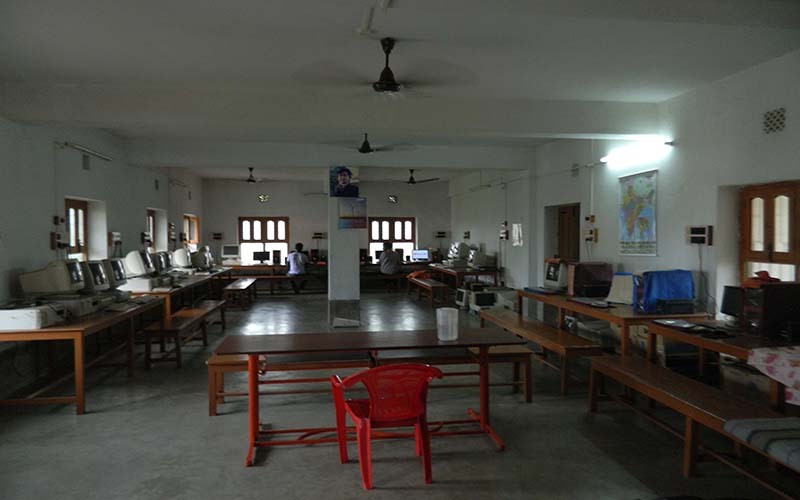 The Mission has an ongoing vocational training program for senior students in electrical, mechanical establishment, maintenance and repair. This process not only helps the mission to up in running but also helps the students to find a job after their H.S. graduation or higher education in accordance to their choices.